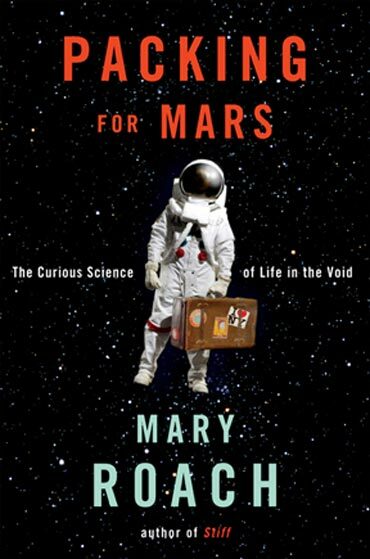 Spook is the second Mary Roach book I’ve read in the last year or so, and I picked it up based on how much I enjoyed the other one, Packing for Mars – you can read my review of it here. This time out, Roach investigates the ultimate question: what happens to us after we die? Her research takes her everywhere from pseudo-scientific cattle scales used at the turn of the last century, to modern university research departments, and lots of places in-between. So where do we end up? Click through after the break to find out. I’ve always been massively interested in space travel. I was born within weeks of the first moon landing, grew up through the late years of Apollo, remember late nights and early mornings spent waiting for delayed Space Shuttle launches, and was moved to write one of my favourite early short stories by the Challenger disaster in 1986. I’ve also been a fan of SF since I was young, starting the fantasy route (Burroughs, Lord of the Rings, the Narnia books), and discovering Heinlein, Asimov, Bradbury, and E.E. “Doc” Smith when I was in my tweens. As my reading tastes have evolved, I still love to go back to a good SF or an epic Fantasy now and again, as there is always for me a comforting coziness to be found therein; however, I find myself reading more and more non-fiction, so why not tie the two together? Memoirs aren’t my usual cup of tea, but Jenny Lawson just may have convinced me to give them a bit more of my time. Memoirs have always seemed too self-indulgent to me, but then again, what form of writing doesn’t ask for a focus on the ego that is behind the pen/keyboard/pencil crayon? Blogging (or writing reviews of things in a blog – mea culpa) is not far removed from memoir, is often in fact memoir, and is where this book originates. 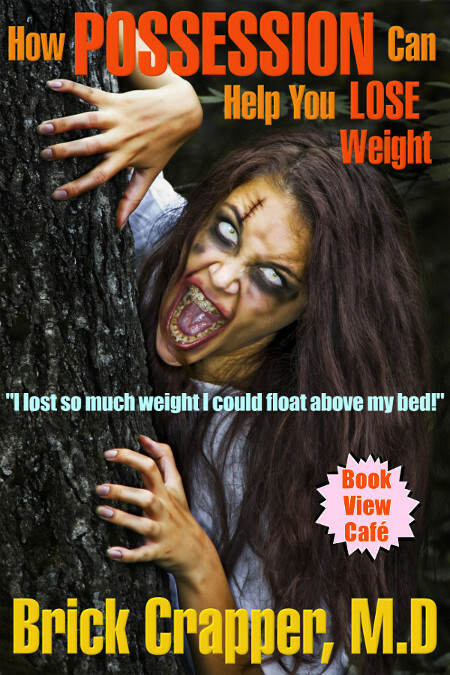 As one of the growing list of blog to book crossovers, Lawson and her publishers are banking on a list of already dedicated readers, and on catching the attention of new readers such as myself. 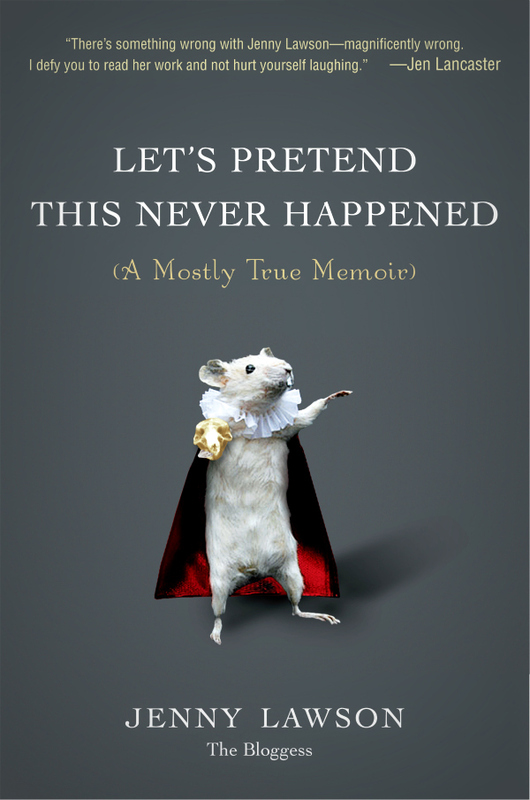 The cover of the book, featuring a taxidermied (not a word, but hey, it should be) mouse dressed as Hamlet, grabbed my attention each time I walked into my local bookstore, but it wasn’t until a recent trip that I decided to pick up the book and read the back copy. Which led to me purchasing the book shortly thereafter. This rather slight ebook is the most recent release of Brick Crapper, MD (aka Chris Dolley), a prolific author of Science Fiction, Fantasy, and Mystery books (primarily released as electronic chapbooks), many of which have a humorous bent. One of his books, French Fried, has even made the NYT Best Seller List, no mean accomplishment.